Boko Haram jihadist carried out their deadliest attack on the Chadian army on Friday, killing at least 23 soldiers. The attack happened at Dangdala near Lake Chad shortly after midnight. Security sources said the militants were believed to have crossed over from Niger and made off with military equipment. Around 30,000 people have been killed and another 2 million displaced since Boko Haram launched an insurgency in Nigeria nearly 10 years ago. It has since spread into neighboring Niger, Chad and Cameroon. 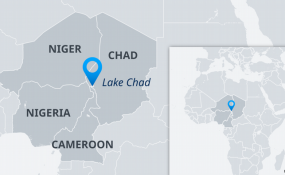 Chad is part of the five-nation Sahel Force established in 2017 to combat jihadist groups and human trafficking.